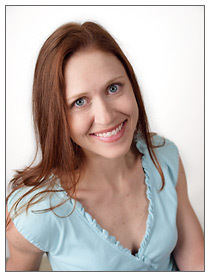 Quality therapeutic massage therapy in Salt Lake City, Utah by Jenni Curtis, Licensed Massage Therapist. (801) 879-4173. Deep Tissue, Sports Massage, Trigger Point Therapy, Swedish Massage. Located south of Sugarhouse at 1174 E Graystone Way (2760 South) Suite #18. Welcome! You've reached the home of Jenni Curtis, LMT, a well-respected Massage Therapist in the Salt Lake area with over 14 years experience perfecting the art of massage therapy for better wellness, pain management, body maintenance, and enjoyment. Jenni is passionately dedicated to providing a high-end service at a very reasonable rate. You won't pay extra for spa-quality details like hot stones, aromatherapy, steamed towels, heated/foam-padded tables, and full massage times. No cutting corners! Recieve a skilled, custom tailored QUALITY massage in a convenient freeway accessible eastside location in the heart of Salt Lake City where you'll find a quiet, comfortable, "no rush" atmosphere. Jenni Curtis has a positive, down-t0-earth attitude and is willing to EARN your business with every massage experience you enjoy in her hands.